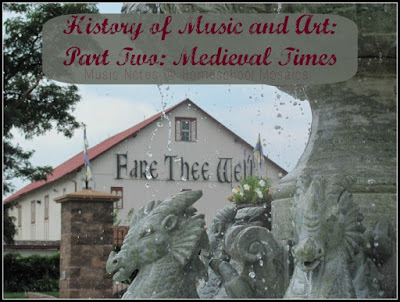 We are continuing on our journey through the history of Music and Art. Last month we traveled all the way back to Ancient Greece to see where our roots begin. This week we are time warping to the Medieval period. Once we hit AD time, there is a vast amount of music because we started writing things down better as a human race. Today we are going to focus on the sacred music of the medieval ages. Sacred music is the music that was used in the church. Secular music, although beautiful, was not allowed in the church. At this time it was mostly peasants and minstrels in the streets playing secular music. In sacred music, composers used voices only without help of other instruments. We will also be learning three vocabulary terms: monophony, homophony, and polyphony. 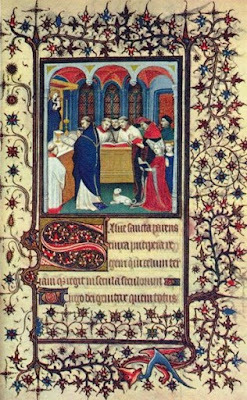 Gregorian chant was a widespread style in the churches. They used music to sing all the parts of the mass, and so chanting was an easy way to memorize not only the words, but it was a way to keep everyone together in prayer. In early music, composers used monophony, meaning there was one line of music and everyone sang the same rhythms and pitches. As time went on, composers began to experiment with homophony, meaning everyone still sang the same rhythm but the pitches were different. This is the beginning of harmony in sacred music. Usually the music moved in fifths, which meant the notes were always a fifth apart, moving together in parallel but still keeping a harmony. Finally, as composers began to evolve they experimented with polyphony, meaning the rhythms and pitches were different. This created rich textures in the chants. Sing “Row, Row, Row Your Boat” together at the same time. This is an example of monophony. Next, sing it in canon and you have created polyphony- the mixing of many voices to create texture and harmony in a song. Research a medieval composer like Hildegard of Bingen, Guillaume de Machaut, or Guillaume Dufay. Medieval instruments have very funny names, but they are the ancestors of modern instruments. Check out this list and take a look at the secular instruments and try to figure out what instruments they are the ancestors to just by looking at the pictures. If you want to see some of those instruments in use, check out this lively medieval tune. Today we are going to focus on Illuminated Manuscripts. There was no such thing as a printing press during medieval times, so monks would spend their lives copying the Bible. Also, since most people were illiterate, they would make beautiful pictures in the Bible depicting stories from the Bible. A true illuminated manuscript would include silver or gold foil in the pictures, but many people call any of the beautiful pictures alongside the Bible stories illuminated manuscript. Many times they would draw the picture in the first letter of the story. Make your own illuminated manuscript using your favorite story! Pick any letter and make it prominent on your page. 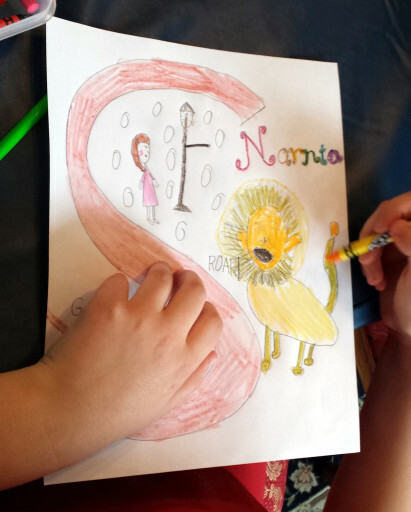 Then, draw pictures depicting the story on the page. You can even writing out the first sentence or so of the story if you wish.